● Join the Atterley Road Rewards Program in order to earn points on all your purchases, as well as extra points through special promotions. You will receive $1 in store credit for every 100 points earned. The points can be redeemed during checkout. ● Check out the Sale section for savings as much as 70% for featured items. 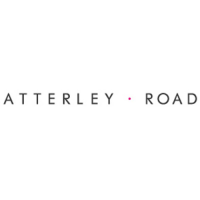 ● Atterley Road offers free returns for all purchases. You must initiate the return within 28 days of your purchase. Learn more here. Atterley is a clothing brand that was designed with the idea that every piece that they put into their inventory should work together when worn at the same time. All of their pieces are made out of the same materials and they are easy-to-wear for various body types. On the left side of their website you can review the different types of clothing that they have available including: clothing, shoes, accessories, eveningwear, work clothing, basics, and more. If you're looking for a specific item you can use the search bar that is located at the top of the site to browse their entire inventory at once. For most up to date offers check out Atterley Road on Facebook and Twitter or contact Atterley Road Support for any questions.